Longmont, CO & Brevard, NC-- Oskar Blues Brewery, the first craft brewery in the country to brew & hand-can their beer, today announced continued strong growth, achieving over 30% growth in year-over-year sales. Colorado's funky and unapologetic brewery is the largest American craft brewery to package beer exclusively in cans, while reaching 192,000 BBLs in 2015. Growth continues to be fueled at both East and West Oskar Blues breweries. The North Carolina brewery in Brevard brewed 90,000 BBLs while Colorado contributed 102,000 BBLs to the mix. Brevard is in the second phase of its 17,000 square foot expansion project that will take capacity over 200,000 BBLs at that location. The Colorado brewery acquired an additional 60,000 square feet last year in Longmont and is increasing capacity and developing an Oak Aging event venue. 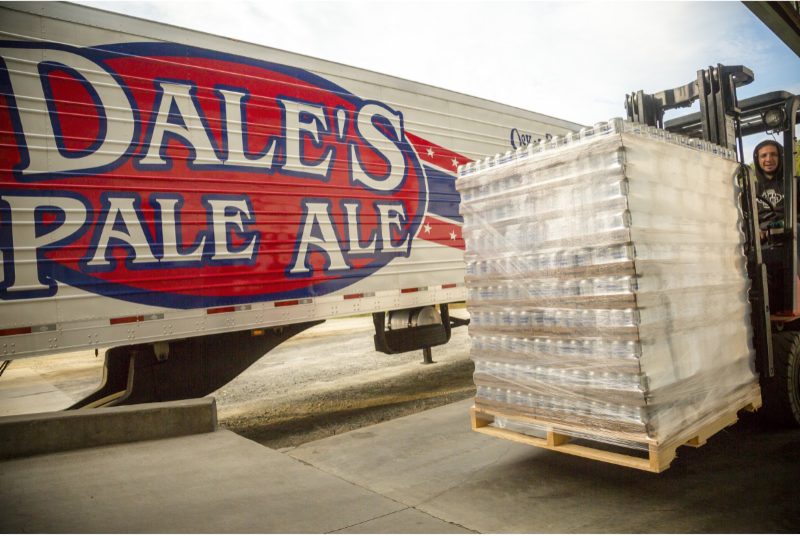 Robust double-digit growth of Dale's Pale Ale achieved 43% FY 2015 year-over-year growth in Total U.S. Food (Scans). The original craft beer in a can and flagship of Oskar Blues Brewery remains nearly 50% of the brand mix amongst strong new brands Pinner Throwback IPA and Oskar Blues IPA, which combined, make 18% of the total 2015 brand mix. 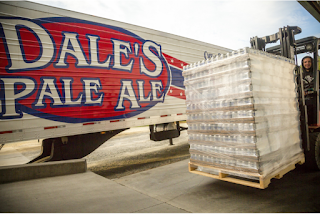 Dale's Pale Ale 6-pack cans ended the year as the number one selling 6-pack canned beer in US grocery segments. The brewery expanded distribution to 45 U.S. states, parts of Canada, Sweden, and the U.K., with plans to reach all 50 states by mid-year 2016. Oskar Blues will open a third brewery in Austin, TX that will include live music venue in April 2016. Crowler® (CAN + growler), the newest innovation coming from Oskar Blues and their development partner Ball Corporation, grew 1,000%, selling nearly 400 All-American Can Company seamers and over 1.3M cans in 2015. A Crowler® (CAN + growler) is a 32-ounce CAN filled with fresh draft beer from the source in a portable growler-sized CAN. Oskar Blues' "B. Stiff & Sons Old Fashioned Soda Pop" grew 56% in 2015 on distribution increases of Root Beer in Colorado. The brewery announced expanded flavors including Ginger Beer, Black Cherry and Orange Cream along with distribution additions in North Carolina and South Carolina in 2016. Oskar Blues Brewery has five 6-Pack SKUs (DPA, Pinner, OB IPA, Mama's and Old Chub) in the top 25 Craft 6-Pack SKUs in total US Food for 2015. Increased distribution to 45 states, parts of Canada, Sweden, and the U.K. TOWNS: distributed 154,000 cans of water to disaster-stricken areas in South Carolina, Michigan and Texas. In addition, a team of 23 volunteers spent a weekend in Georgetown, South Carolina mucking and gutting homes. TREADS + TRAILS: hosted children's mountain biking and cyclo-cross clinics featuring world-renown athletes Neko Mulally, Meredith Miller & Allen Krughoff and broke ground on an urban single track course in Colorado Springs. Provided outdoor experiential learning opportunities for underprivileged students through access to the bouldering bus - a bus retro-fitted with climbing holds, and has helped rebuild multi-use trails in various communities across the country. TUNES: partnered with Grammy-award winning Steep Canyon Rangers to donate instruments & provide FREE music workshops for children, provided Blues music education to public schools in Colorado and helped make the arts accessible by supporting cultural experiences from coast to coast. LOVE YUR MAMA: partnered with 19 community organizations to help them launch and run sustainable recycling programs through the Crush It Crusade, diverting 384,525 lbs. of waste from landfill - the equivalent of more than 10.5 million cans recycled (explore the hash tag #CrushItCrusade to see where in the U.S. people are recycling). Hosted community cleanup days at the Yampa River in Colorado. Oskar Blues' inspired brand extensions also thrived in 2015. The brand made its first foray into caffeine with the launch of Hotbox Roasters, which provides premium hand-roasted coffee in Colorado retail locations and via subscription service online. Its in-house, hand built, REEB Cycles bike company and full service bike shop at CyclHOPS Bike CANtina grew 46% over 2014. The restaurant profile will also expand in 2016 with the launch of an additional CHUBurger location and first brick and mortar Hotbox Roasters location both in the RiNo district of Colorado. Founded by Dale Katechis in 1997 in Lyons, Colorado, Oskar Blues Brewery launched the craft beer-in-a-can apocalypse with hand-canned, flagship brew Dale's Pale Ale. Today, Oskar Blues is one of the fastest growing breweries in the country and operates breweries in Longmont, Colorado and Brevard, North Carolina, while producing 192,000 barrels in 2015. The original canned craft brewery continues push innovation with the announcement of an Austin, TX brewery in April of 2016 and creations like The Crowler while it distributes to 46 U.S. states, Washington, D.C., as well as parts of Canada, Sweden, and the U.K. In 2013, Oskar Blues founded the CAN'd Aid Foundation, a 501(c)(3) nonprofit public charity that offers grassroots grants to those making a difference in the areas of community, the environment, music, and more. In 2015 alone, CAN'd Aid partnered with 52 organizations and provided nearly $400,000 in charitable contributions, bringing its doin' good efforts to $1.3 Million since its inception. To keep up with all things Oskar Blues, visit http://www.oskarblues.com.